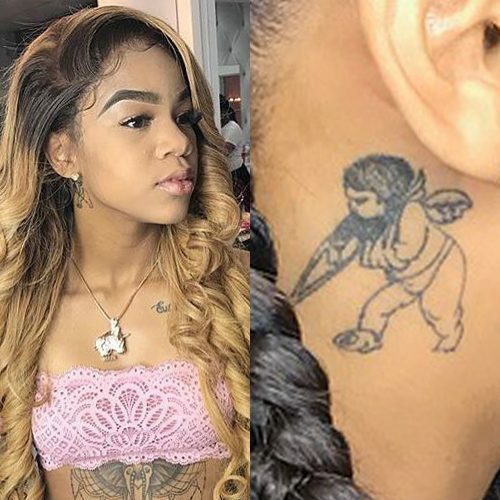 Molly Brazy has a tattoo of a cherub with a crutch on neck. 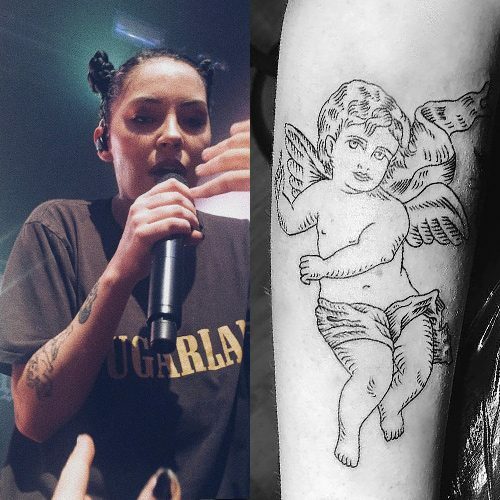 Bishop Briggs has a cherub tattoo on her right forearm. 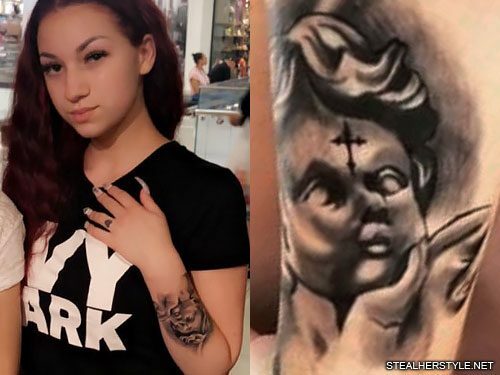 Lil Debbie has a tattoo on her left bicep of a cherub playing a harp. 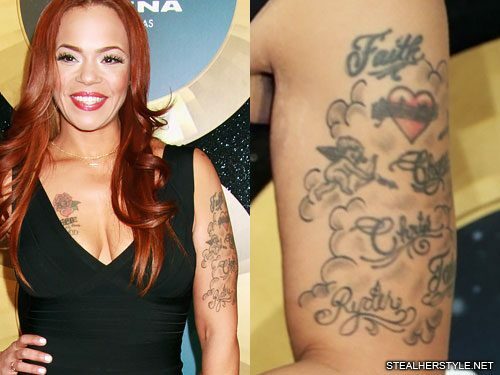 Faith Evans has a large tattoo on her upper arm which she has built up slowly over time. 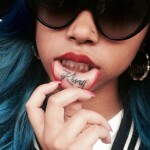 The tattoo displays her love for her children with her name, a heart, and all four kids’ names. 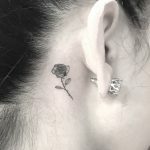 The design also includes two cherubs shooting arrows which are another symbol of love. 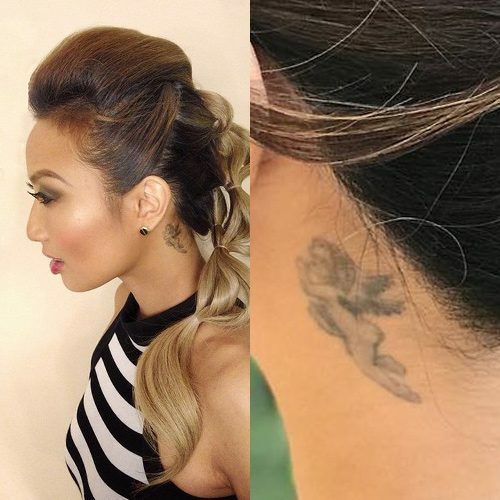 When Faith began her career in the 90s, she had a much simpler version of the tattoo. It said “Faith ❤ Chyna” for her daughter Chyna, born in 1993, who was her only child at the time. Chyna’s father is music producer Kiyamma Griffin. She married rapper Christopher “The Notorious B.I.G.” Wallace in 1994 and gave birth to their son Christopher Wallace Jr. in 1996. Faith added his name “Chris” to the tattoo along with two cherubs. 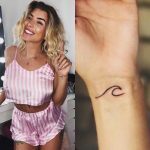 After Biggie’s death, she had two children with her second husband Todd Russaw. 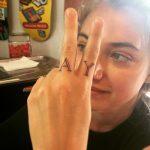 She of course added the names of “Joshua,” born in 1998, and “Ryder,” born in 2007. 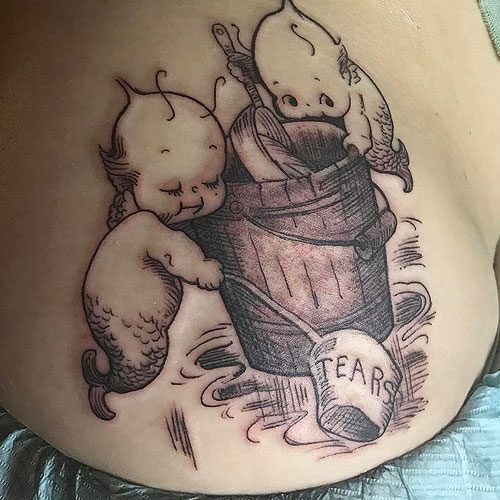 In her most recent update to the tattoo, she added clouds around the whole design to tie it all together and set a heavenly scene for the cherubs.